Jenny-May has been practicing yoga since 1997, and discovered Iyengar yoga in 2000, since when she has studied with advanced teachers in India, Europe and the UK. She completed her Introductory Teacher Training in 2007 and (after having her two children) became certified in 2011. Jenny-May is a student of Jayne Orton at the Iyengar Yoga Institute of Birmingham and completed the post-compulsory Intermediate Teacher Training (Levels 1–3) with Faeq and Corine Biria in Paris between 2012 and 2015. Jenny-May’s classes are up-beat and down-to-earth. She has created a friendly and inclusive space, which allows the people of Hereford to experience the benefits of a disciplined practice. Hereford Yoga Centre’s programme of classes and workshops is designed to promote a serious exploration of the subject in a fun and open environment. 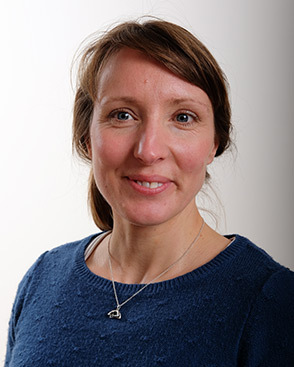 Jenny-May runs a range of classes at the Hereford Yoga Centre at different levels (Beginners, General and Intermediate), including specific classes for women, young adults and children. She has also developed an outreach programme that brings Iyengar yoga into community settings. She and her colleagues from Hereford Yoga Centre are currently delivering classes for the following organisations: Look UK (Royal National College for visual impairment), West Mercia Women’s Aid, Herefordshire Housing, Hereford Sixth Form College, Herefordshire and Ludlow College, Mordiford School, Longtown School, No Wrong Door youth services and 2Gether Mental Health Trust. Prabhakara is a Senior Level 1 teacher from Malvern. He runs Beginners’ and Men’s classes on Mondays, and regular weekend workshops at the Yoga Centre. He also teaches students and staff at Hereford Sixth Form College on Monday afternoons. See the timetable for full details. We are delighted to have moved to the new, bespoke Hereford Yoga Centre at Unit 10, Foley Trading Estate HR1 2SF. Thanks to Sport England, Hereford City Council and Comic Relief for their financial support towards creating Hereford’s first dedicated yoga centre.